MONTGOMERY – At a press conference Thursday, U.S. Representative Martha Roby (R – Ala.) and Alabama Community College System (ACCS) Vice Chancellor of Workforce and Economic Development, Jeff Lynn, announced a new partnership with four of the system’s colleges, the Manufacturing Skills Standards Council (MSSC) and Walmart’s Brundidge, AL distribution and fulfillment center. The MSSC certifications include the Certified Logistics Associate (CLA) and the Certified Logistics Technician (CLT) which address the core technical competencies of the front-line material handling and distribution workers in all supply chain facilities including factories, warehouses, distribution centers, and transporters. 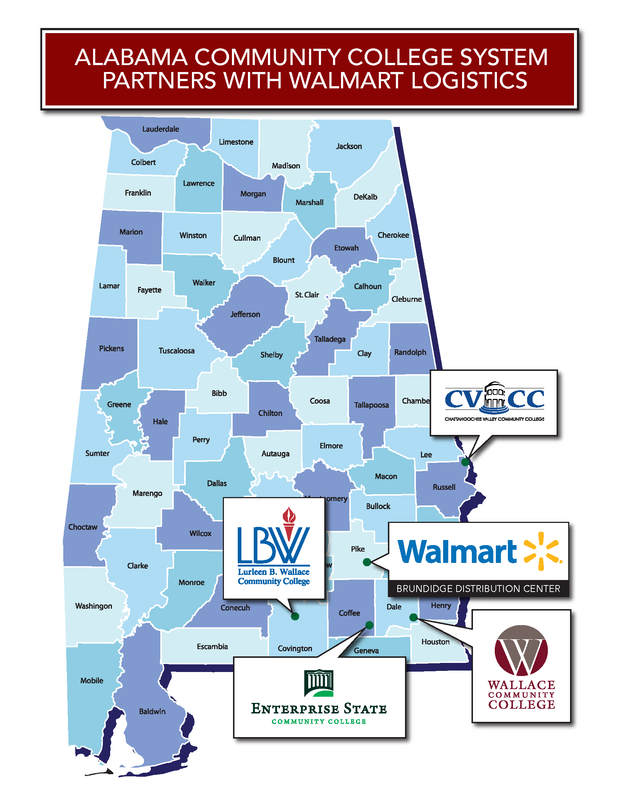 In addition to the logistics courses, students will receive skills training through Alabama’s Ready to Work program which provides trainees with entry level skills required for employment with most businesses and industries in Alabama.